Mamak Roti Canai (or Roti Paratha) at some time originated from the shores of southern India. 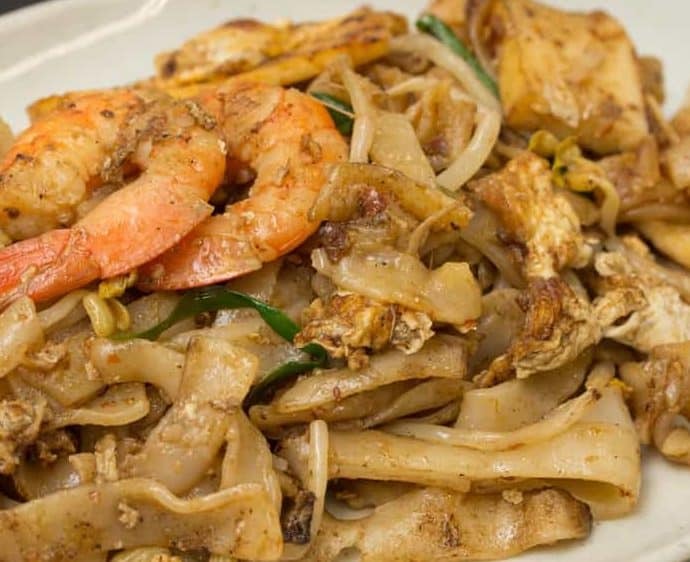 However since then it has been modified, molded and made truly famous by the Mamak (Muslim-Indian) Hawkers in Malaysia and Singapore. In Malaysia, The Mamak Roti Canai is a crispy and buttery (cooked in ghee) flat bread. 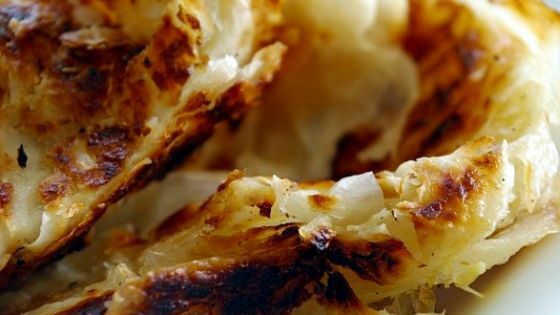 While crispy on the outside, all good Roti has delicate fluffy layers within. This is true foodie paradise! 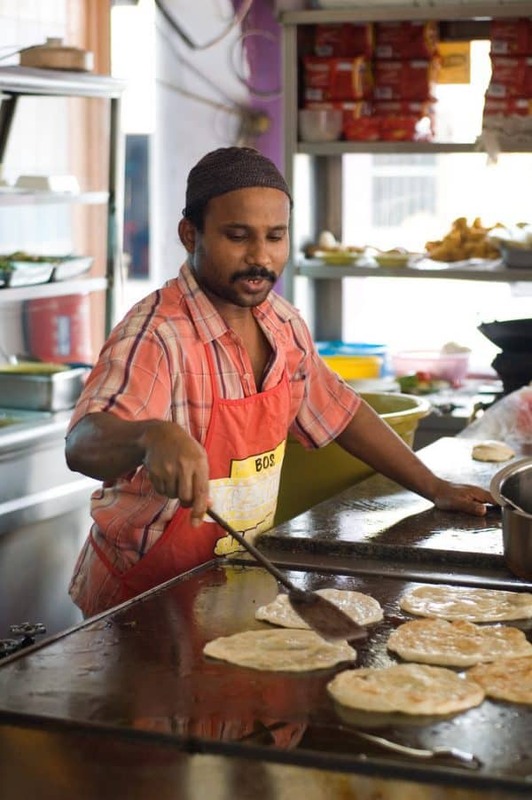 Across the straits in Singapore, the Roti exists, however more commonly known as Roti Paratha. 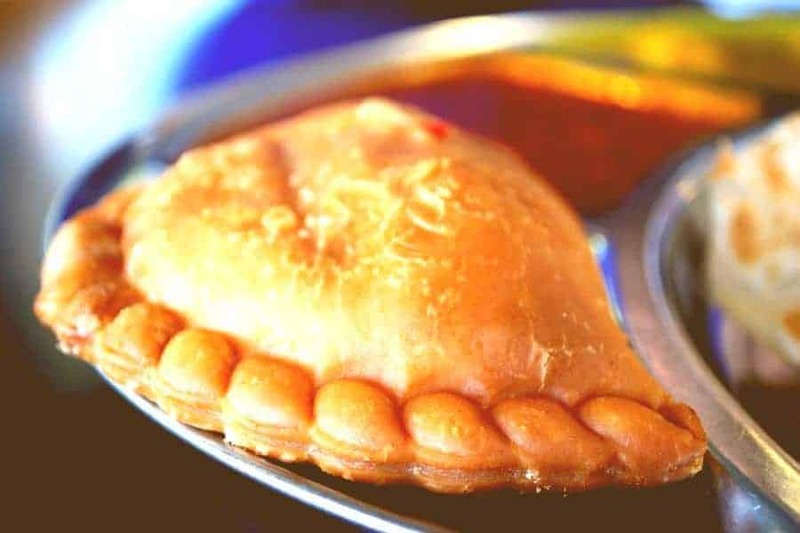 It was introduced to me first by an Indian Malaysian”Aunty” – who was a remarkable whiz in the kitchen, small greasy balls of dough suddenly transforming into layered fluffy crisp goodness. She had the skill and the talent-as did I but only in the eating stakes! That was good enough. If you know anything about Malaysia you will know the Malaysian Aunty loves to feed…and so a happy partnership was formed. Then later as I lived in Kuala Lumpur the Roti Canai became a favorite breakfast. On the way to work it was a must do to stop at one of the street side stall. 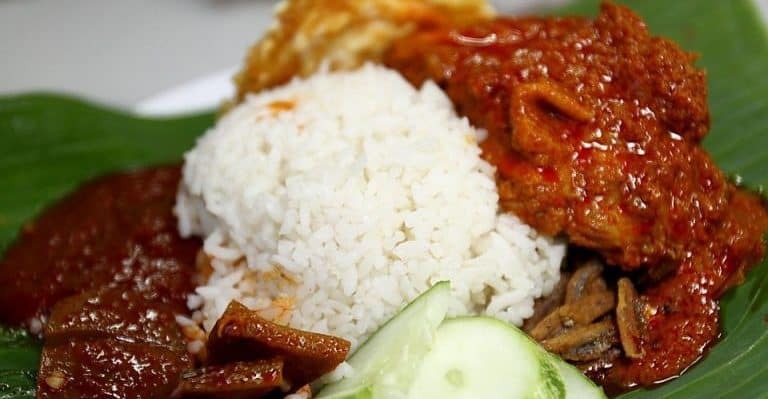 What better way to start the day than with hot Malaysian Kopi O and a fresh Roti,or two, and fish gravy….nestled on a plastic chair at a plastic table with a plastic cloth…and eating it, the only way you should, with your hands! Then came the Roti Canai supper with curry sauce. Heaven, pure heaven. Roti canai is cheap and affordable so is usually never something I would make at home. Why would you learn to make them when they could practically be found at every street corner for a Ringgit. However when you leave the shores of Malaysia..the Roti becomes somewhat harder to find…and so for the lover of the Roti who is far from the hawker filled streets of Malaysia…here is the best Roti Canai recipe this side of Petaling Street. Roti Canai is such a delight to many Malaysians. It is very much loved by Malaysians from all walks of life. Dipped in dhal curry or fish gravy this flat bread is a culinary delight. Add the ghee into a hole made in the dough. Next knead the dough on a greased counter top for 5-8 minutes. 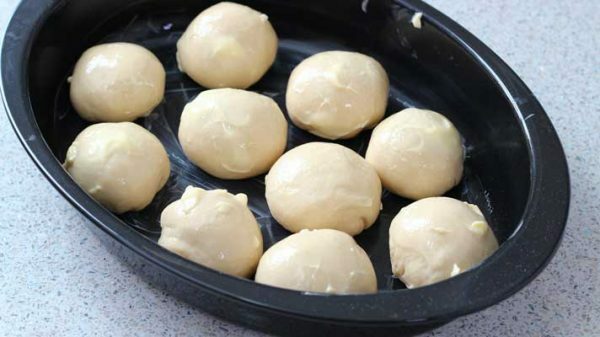 It takes time and little muscle, but this step is necessary to make a pliable dough. Place it back in the bowl and let it rest for at least 2 hours, preferably overnight. This helps the dough to stretch well. The Professional ( and traditional ) Method - Takes skill! Form a small ball of dough with the hands, press it with the hands and lightly stretch it. Then slowly using your hands, pull at one end of the dough. You can rest one hand in the middle of the dough and using another hand pull at the ends. 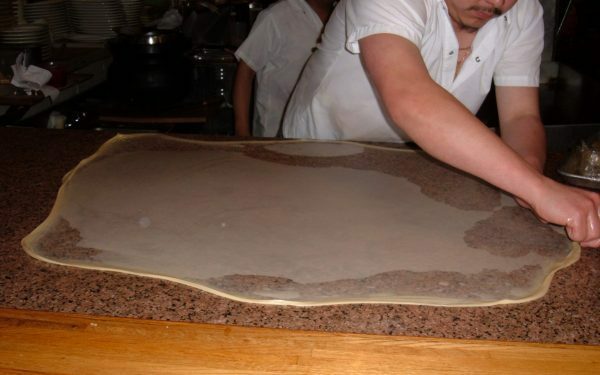 Be gentle to avoid the dough getting torn ( not that it really matters that much ). Slowly do this at all the ends, until you can see through the dough. Now fold one end of the dough, by bringing the top end to the middle. Repeat with the bottom end. Now bring the right side into the center, and then the left. Now slowly using your hands, stretch the dough a bit on all the ends.